Wat is dit voor site? Wij zoeken de goedkoopste boeken op internet. Legendsvonden we het goedkoopst op Bol.com voor €21.99. We hebben gezocht in nieuwe en tweedehands boeken. Rechtsonderaan de pagina kan je het boek direct bestellen	via Bol	.com. 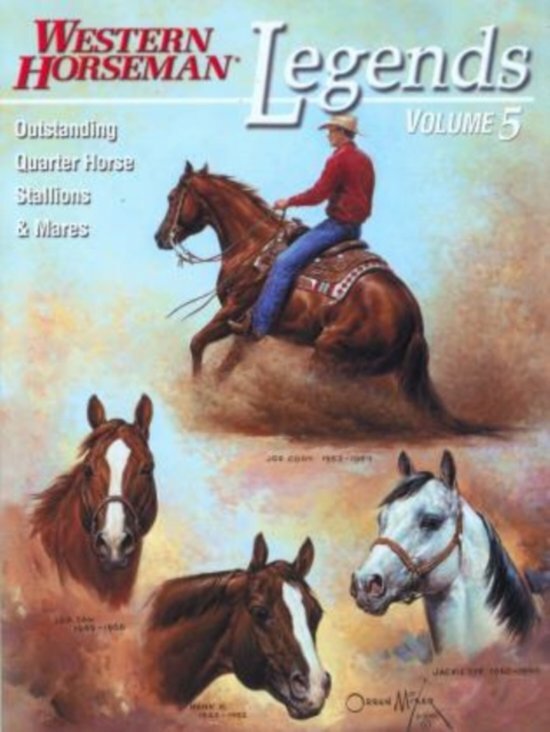 Legends, Volume 5 profiles 18 outstanding Quarter Horse stallions and mares who have had a significant impact on the breed. This volume features 16 stallions and 2 mares, and starts with Little Joe, who predated the formation of the American Quarter Horse Association, but whose influence on the breed continued for years after his death. This volume is the largest in the Legends series with 248 pages and about 300 photographs, some of which have rarely been seen. As with previous volumes, each horse's story includes a four-generation pedigree, a summary of his/her show and/or race record, a sire or production record, and many photographs.